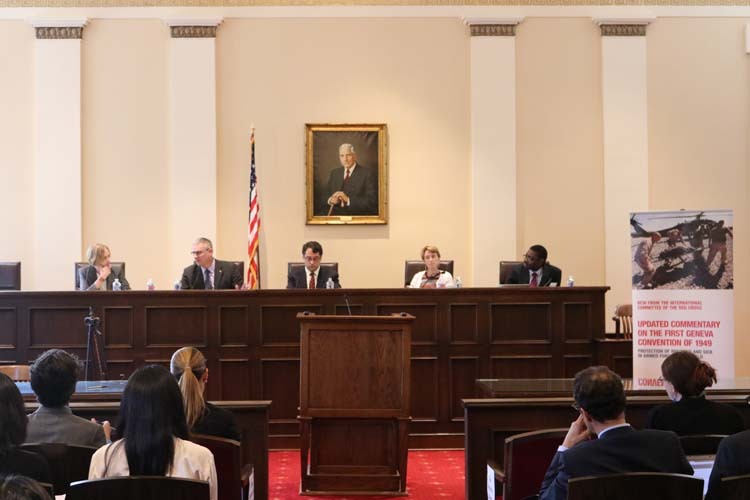 To see full photo, please click on an image below. 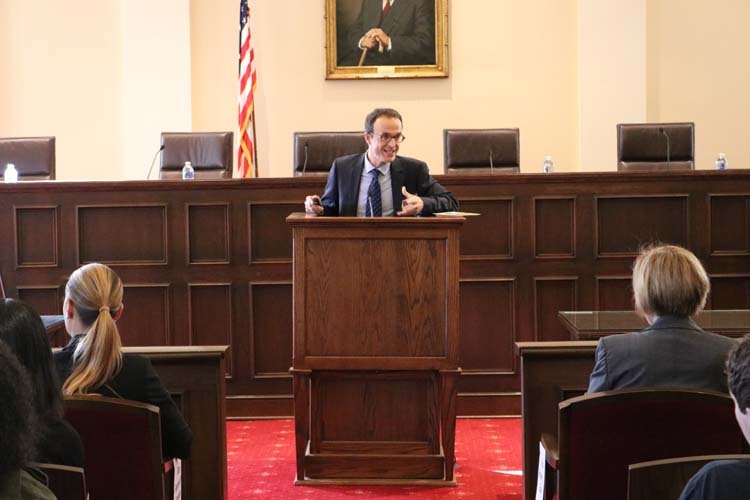 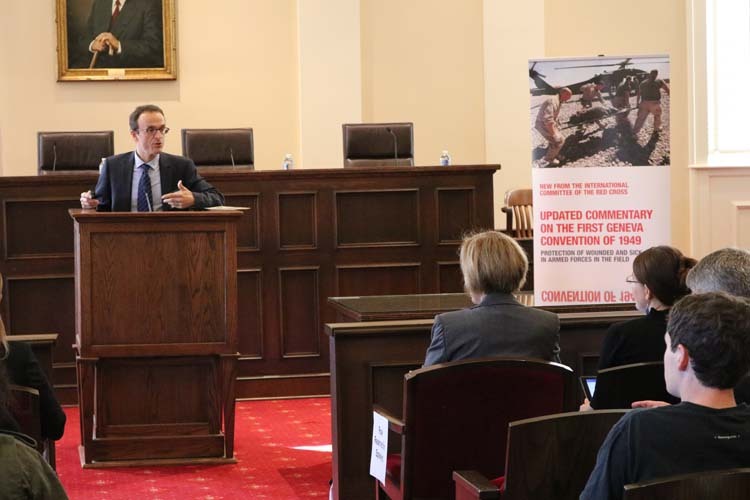 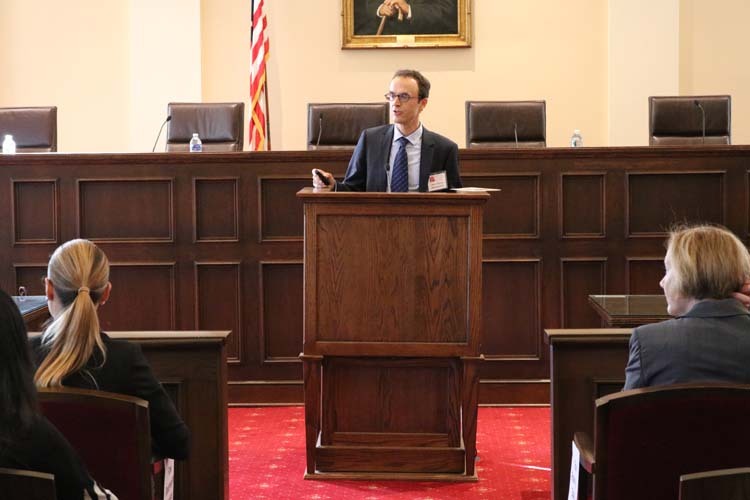 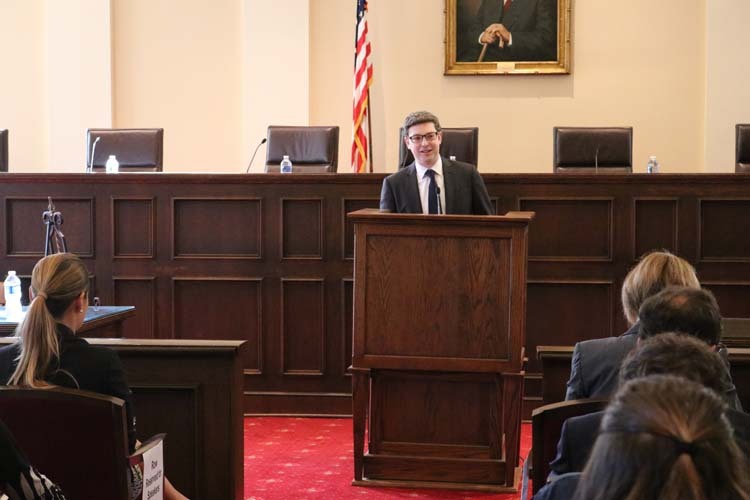 Georgia Law hosted “Humanity’s Common Heritage,” a conference focusing on the International Committee of the Red Cross’ 2016 Commentary on the First Geneva Convention. 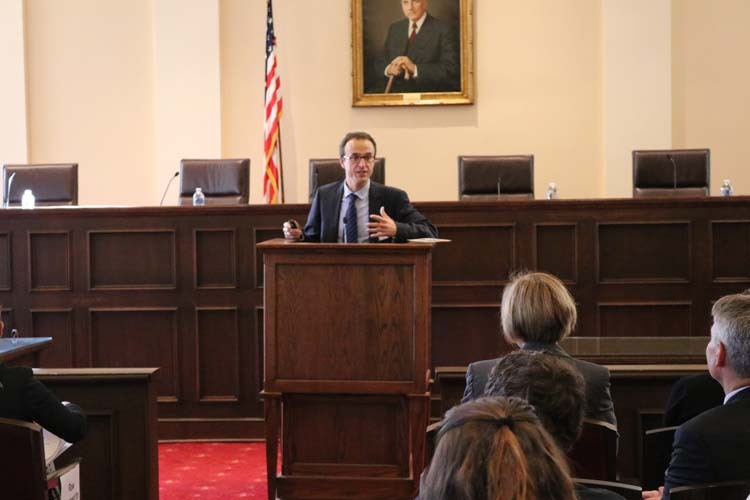 During the daylong event, there was a public plenary that included a keynote address by Jean-Marie Henckaerts, legal adviser to the International Committee of the Red Cross, as well as expert panel discussions. 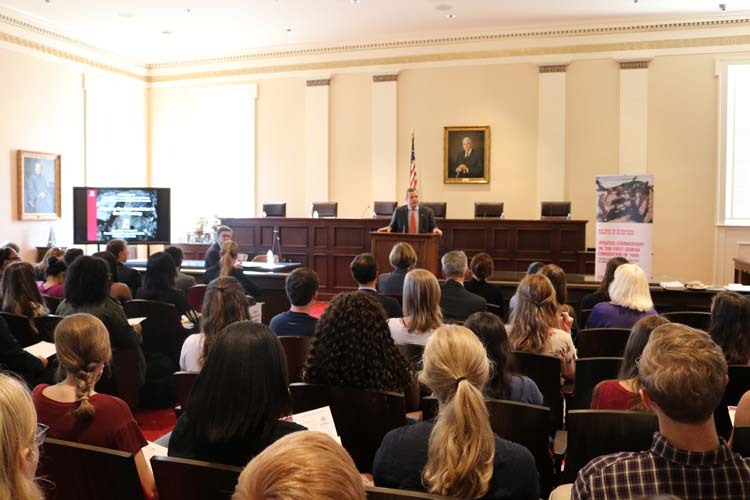 Afternoon programing consisted of closed workshop sessions.